Only a few years earlier she had graduated from university and was blissfully happy and enjoying life. Love she thought would just add to her blessings. Now she finds herself stranded on an island in Thailand with no passport or return ticket to Australia and fearing for her safety and life. If only he would change back to the Prince Charming she had first met. I read this book in a couple of days. The book is so intense and as I like to quote ‘un-put-downable.’ The twist in the end leaves you gasping in shock and makes you want to read Juliet’s next book. It is a book that’s easy to read, but difficult to ignore. It is not a big book, but brings a strong message. It is a book, which shows courage of a woman in love with a monster. 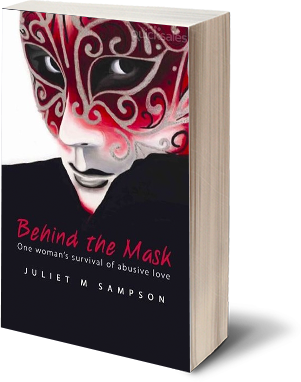 Please take the time to read the book and help women who may have experienced domestic violence. My first reaction after finishing this book was awe. The amount of courage, determination and brutal honesty contained within the pages of this book are mind-blowing. Many people who have suffered abuse in their marriage or abuse in general would be able to relate this book... and maybe it might encourage them to speak out. You've done a beautiful thing Juliet M. Sampson. Thank you so much for writing this book!! Wow! Even though most of the book reminded me of the first cruel intentions film, it had me on the edge of my seat waiting to read how everything unfolded for each of the characters that I had become quite attached to.